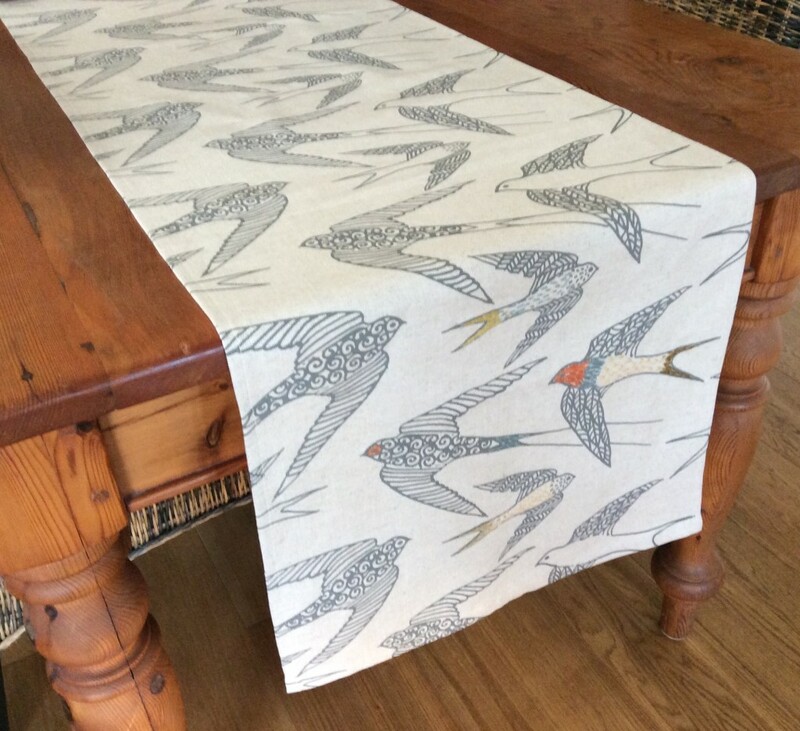 Our designer hand printed fabric table runner is made from good quality 100% cotton and features the popular swallow bird motif. The contemporary design was created by experienced textile designer Ena Heese from Cape Town South Africa. Where does Ena get the creative inspiration for the fabric table runner from? Ena is constantly inspired by the patterns, symbols, arts and crafts from all over the African continent and her attractive fabrics reflect this. "My vision is to design and produce a unique product that embodies the concept of proudly South-African. My mission statement is “for home, body and soul”. The hemline of each fabric table runner is delicately hand embroidered outlining a few of the swallows giving this table runner an arts and crafts touch. Placing the runner on a dining room table or on a sideboard is popular in South Africa and it will look equally good in any living or dining room. This elegant grey and off-white runner will be a striking addition to your room décor. A beautiful 'swallows' table runner which will make an unusual gift for the home maker, gift for the birdlover, wedding list gift, wedding gift.